A couple of months ago hubby emailed me with a Groupon offer he wanted to take advantage of. It was 5 fruit trees for £25, he does a lot of cooking from scratch (and I mean from scratch, he even makes his own butter) and so we thought it would be nice to have our own fruit from the garden as well. 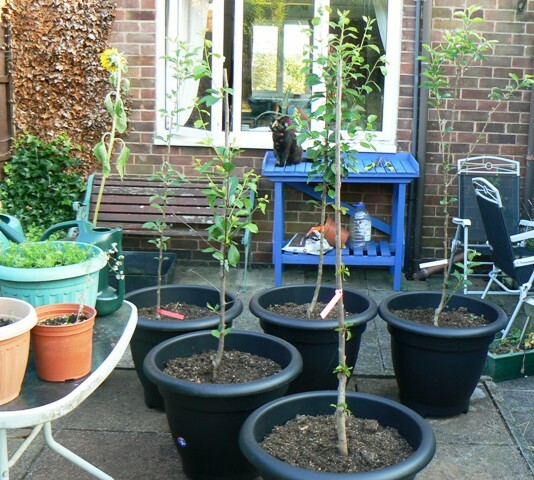 All the trees are in pots and don’t grow very big so we can take them with us when we move. I thought it was a nice idea so I said go for it. I soon found that I was managing to go out in the garden with him and watch him water these trees, not only that I was enjoying it and looking forward to it, it felt nice to have something small and manageable to do each day that involved going outside so I decided to set myself a little project. 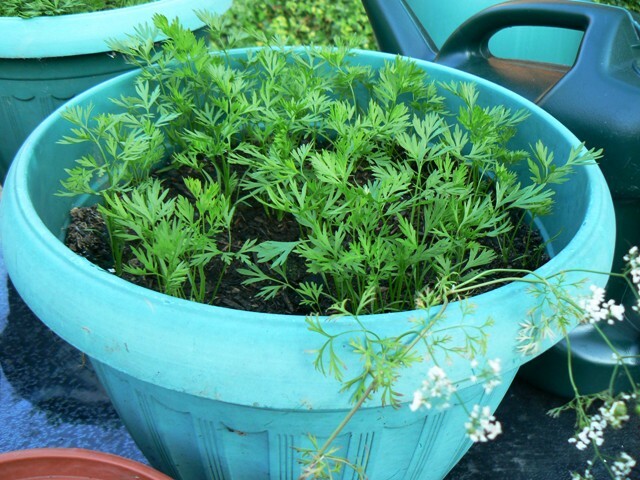 I read online it was possible to grow carrots in pots (we eat a lot of carrots) so I decided to do that and go out myself to water them everyday. It has been a nice little project and I ended up potting some spring onions too and my big sister gave me a sunflower to take care of as well that my nephews potted. So far it has been going well, my carrots are doing well, which I am super excited about, hubby bought me a potting bench for my birthday and my Mum has bought me some tools, its so lovely how my family like to encourage me. I really appreciate them for it. I managed to paint the top part of my bench which is a huge achievement I feel. 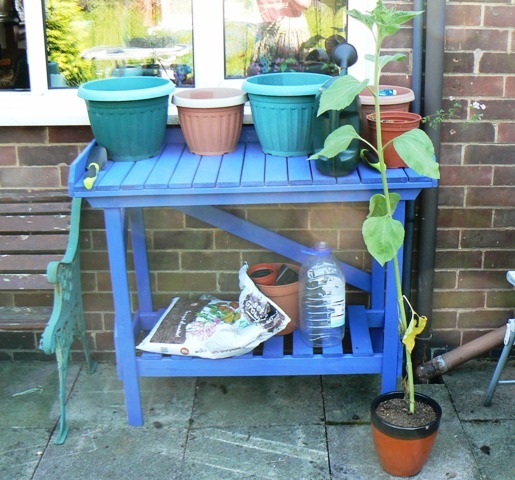 I had to lie down afterwards so Hubby finished it off for me and now this is what my little garden corner looks like. I really like it and it does encourage me to pop out each day to check on it all and water if needs be. I am thinking of ways I can decorate it, maybe it needs a mosaic piece? What do you think? I decided to move my onions and carrots while the weather is so warm so they get more sun and it worked! I shall keep you all posted on #carrotwatch, and big thanks to everyone who have encouraged me on Instagram, FB and Twitter with this. I am hoping it is something I can keep up with! It certainly is a wonderful feeling to take care of something like this. 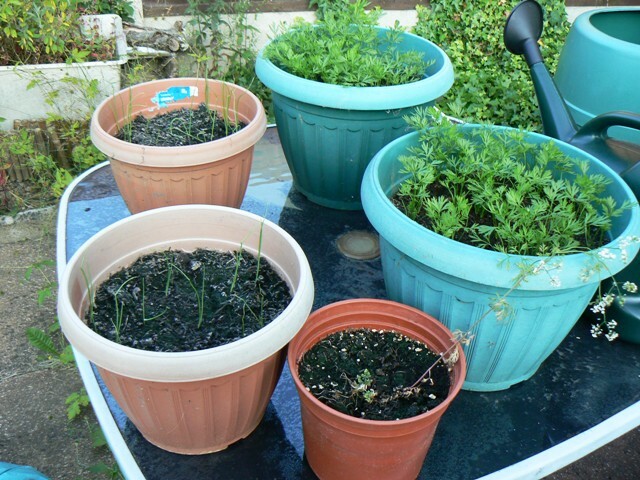 Do any of you like to garden or grow anything in pots? I would love to know about it! 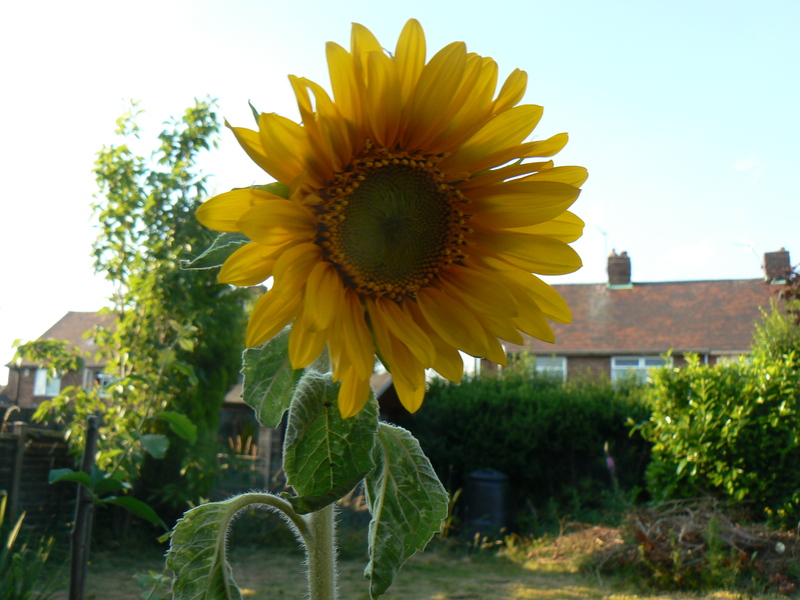 Well done on your gardening success! I think adding mosaic would be fantastic, you are so good at it. As for gardening, I’m afraid I don’t have a green thumb!